Burt Reynolds, who had a long career and was a big movie star in the 1970s and ’80s, has died at 82, according to The Hollywood Reporter, citing his manager. In the ’70s, Reynolds’ name came up as a possible James Bond. Director Guy Hamilton was keen on the idea after seeing the actor on television. But nothing came of it. Reynolds had acting credits extending back to the late 1950s. He was half-Comanche Quint Asper, a sidekick to James Arness’ Marshal Matt Dillon in 50 episodes of Gunsmoke from 1962 to 1965. He also was the star of a short-lived police series, Hawk, in 1966. Another police drama, Dan August, paved the way for Reynolds to be a star. Not because the show was a hit (it only lasted one season, 1970-71). 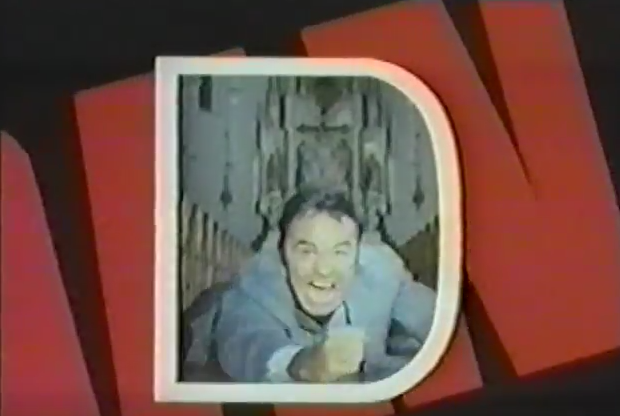 Instead, as noted in the book Quinn Martin, Producer, Reynolds used the show’s blooper reel during appearances on talk shows. For the first time, according to author Jonathan Etter, audiences had an opportunity to witness the actor’s sense of humor. 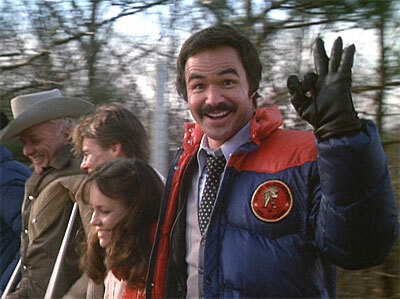 In the ’70s, Reynolds broke out and became a film star. He was helped by doing a centerfold-style photo shoot for Cosmopolitan, though he’d later say he regretted doing it. His 1970s credits included the likes of Deliverance, The Man Who Loved Cat Dancing and The Longest Yard (he’d play a different part in a 2005 remake starring Adam Sandler) and, most memorably, Smokey and the Bandit. 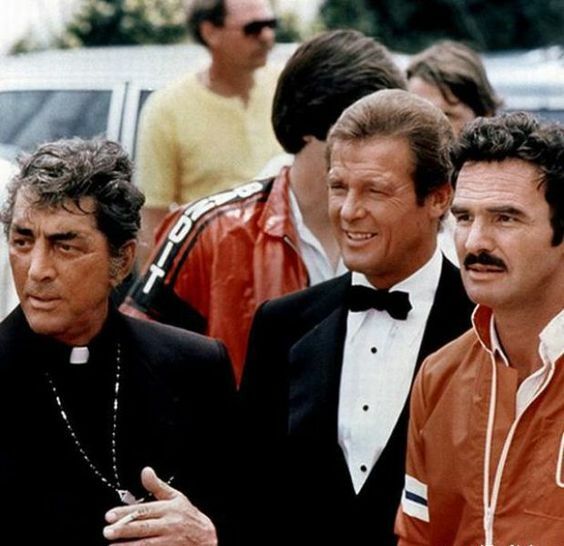 Dean Martin, Roger Moore and Burt Reynolds in The Cannonball Run. Reynolds also had a chance to (sort of) revisit 007 territory in 1978’s Hooper, directed by former stuntman Hal Needham, who had directed Smokey and the Bandit. In Hooper, the actor played the film’s title character, an aging stunt man working on a James Bond-type film being directed by an “auteur” style director, Roger Deal (Robert Klein). It almost predicted the 21st century 007 films Skyfall and SPECTRE, directed by Sam Mendes. Another Reynolds comedy, 1981’s The Cannonball Run, included Roger Moore as Seymour, who thinks he’s Roger Moore. Reynolds’ stardom faded, but he plugged away into the new century. He also extended into directing and producing (including the 1990s television series Evening Shade, where he starred). If you don’t know what I’m talking about, shame on you !